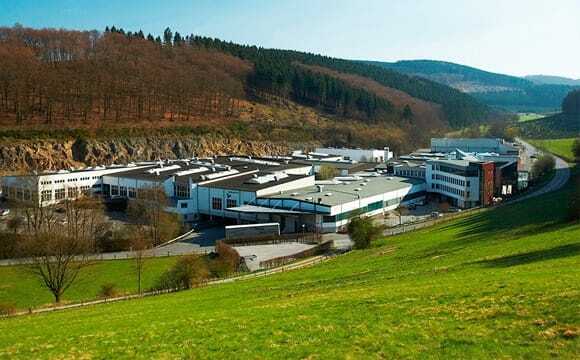 The history of KettenWulf starts on 01 October in the year 1925 at the very location which remains at the heart of the Group today – the beautiful Sauerland. On the 2nd of January 1945, Erich Wulf, son of Johannes Wulf, joined the company. And so began the next chapter of the family history, in which everyone involved works closely together towards a common goal, as is still the case today. In this context, three values underpin everything now as they also did then: pragmatism, solidarity and responsibility! In the 1960s, KettenWulf started to manufacture and sell its own sprockets. At this time, the number of employees had risen to 110 and the company had grown into a successful family-owned business under the continuous management of the Wulf family in the preceding years. Further changes would follow. 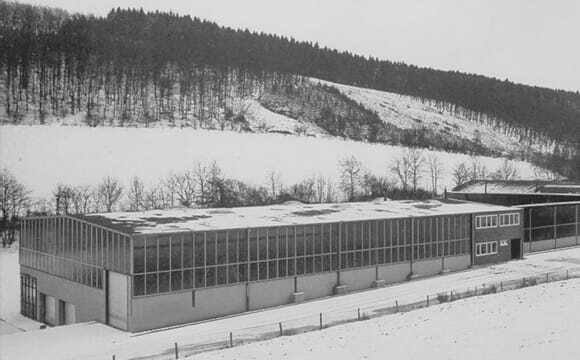 In the 1980s, the German production facility was extended considerably and at the same time the administration building at our headquarters in Kückelheim was expanded. Shortly after this, the company’s first branch office opened in Belgium, which was the first step in the international expansion of KettenWulf. The year 2000 was a special year, not only because of the new millennium celebrations: KettenWulf celebrated its 75th anniversary together with its workforce of now 500 employees! With 40,000 m² of production space, 6 corporate locations and a turnover of €70 million, we could look back on the past 75 years of company history with pride. At home in Sauerland. And the world over. During the third construction phase in China in 2007, the production space of Hangzhou Wulf Chain Co. Ltd. was increased to 15,000 m². The KettenWulf group now employed over 1,000 staff and had premises around the world totalling 70,000 m². In 2008, Günter Wulf celebrated his 30th anniversary as part of the management team, while the Group continued to grow. Staff numbers had now reached 1,200. 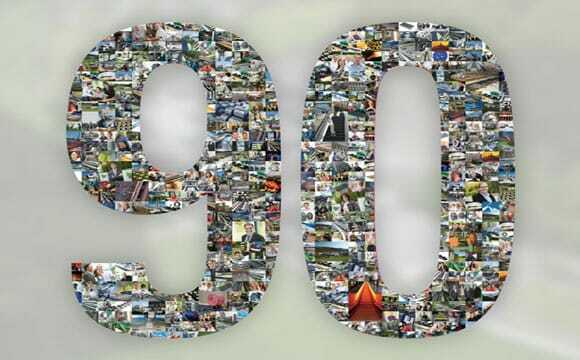 In 2015, we are looking back at nine decades of company history, continuous growth and numerous success stories. And we are looking forward to at least another 90 years of KettenWulf! The KettenWulf Group expanded by another two locations. Firstly, a sales office was founded in June 2016 in Australia, secondly KettenWulf expanded its sales network in November 2016 with an office in Canada. The locations in Toronto and Sydney are an important step for KettenWulf to look after the respective markets optimally. 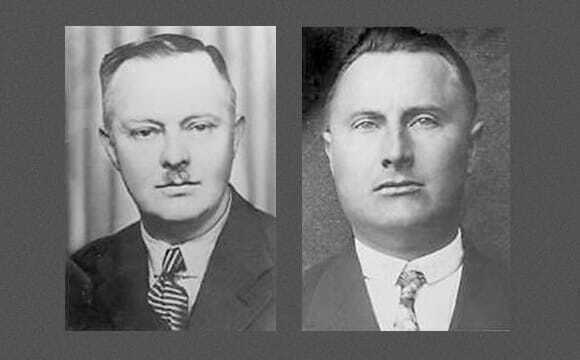 When the brothers Josef and Johannes Wulf founded the sprocket chain company, they laid the foundation stone for the successful development of the company into a leading international manufacturer of conveyor chains, drive chains and sprockets. With its entry into the commercial register in 1937, KettenWulf reached another milestone, and in 1939 a General Partnership was founded with the name “Gelenkkettenfabrik Josef and Johannes Wulf Kückelheim ü./Meschede”. In the 1950s, the company specialised in the manufacture of bush-conveyor chains. At this time, 20 people worked for KettenWulf. Who would have thought then that a small factory for sprocket chains would one day blossom into an international company with production and sales locations around the world and over 1,400 employees? At the beginning of the 1960s, a second factory was built in Kückelheim to seize the opportunity for growth. On the 1st of January 1963, Erich Wulf took over the shares in the company from his father, Johannes Wulf. On the 1st of July 1978, Günter Wulf, the son of Erich Wulf, joined the management team. Shortly afterwards, the company expanded its range with the production of chains for the escalator industry. As a result of this, the number of employees rose to 180. 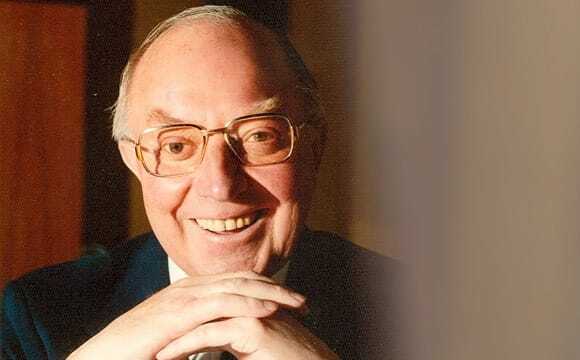 In 1986, Günter Wulf took over the company shares from his father, Erich Wulf, and continued the success story. 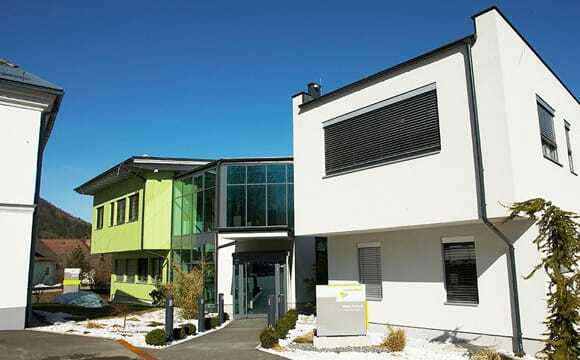 The growth of the company continued with the founding of the KettenWulf GmbH Division Ferlacher Förderketten in Austria in 1990, as well as a sales office in Zielona Gora, Poland. With the takeover of GEKA in 1999, the KettenWulf Export Division was created in the north of Germany, which has handled overseas trade and marketed KettenWulf products around the world ever since. The company’s ultimately international focus quickly led to growth in market share worldwide. Uncompromisingly high quality, accompanied by continuous research and optimisation, became guarantees for success in the development of the company. In 2001, Kettenwulf acquired the company AFAM S.A. in France, in order to expand its motorcycle business. KettenWulf broadened its field of activity time and again in order to operate in new markets. One year later, KettenWulf founded the joint venture Hangzhou Wulf Chain Co.Ltd. in Hangzhou and thus paved the way for expansion into China. Julia Wulf, the daughter of Günter Wulf, joined the management team in 2003. In the same year, KettenWulf posted an annual turnover of €100 million for the first time. In the following year, the KettenWulf Group opened up further markets with the founding of a subsidiary in the USA, with its headquarters in Atlanta. The KettenWulf group now employed 800 staff and turnover increased again, this time reaching €117 million. 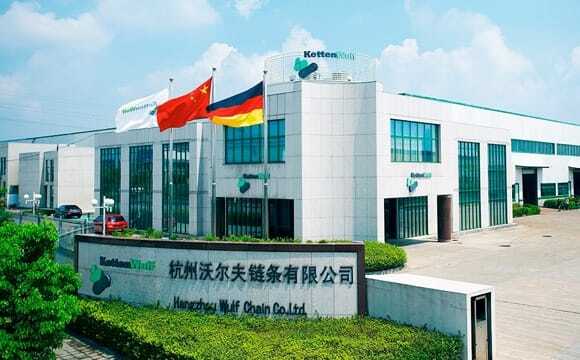 In the next few years, the Hangzhou Wulf Chain company was fully incorporated into the KettenWulf Group and the premises in China were expanded to increase productivity. On the 1st of January 2009, Ansgar Wulf (the son and third child of Günter Wulf) joined the management team. KettenWulf continued to expand its international service and sales network and opened sales offices in India and Turkey on the 1st of July 2009. 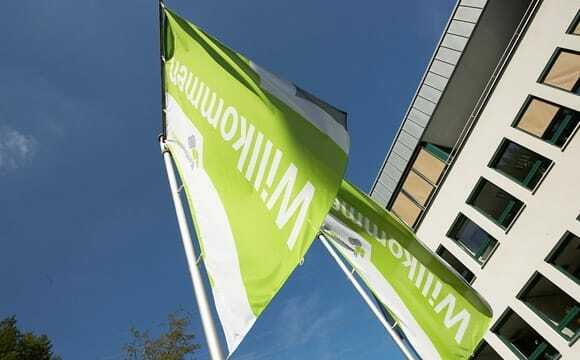 In 2011, the headquarters in Kückelheim were extended again; this time adding 450 m² of production space. In order to cope with the growing number of apprentices, KettenWulf expanded the on-site training centre. KettenWulf set an internal apprenticeship record when 26 new apprentices joined the company in 2012. These junior employees consisted of 5 commercial and 21 industrial-technical apprentices. KettenWulf is now proud to employ 67 apprentices.